Happy Halloween! 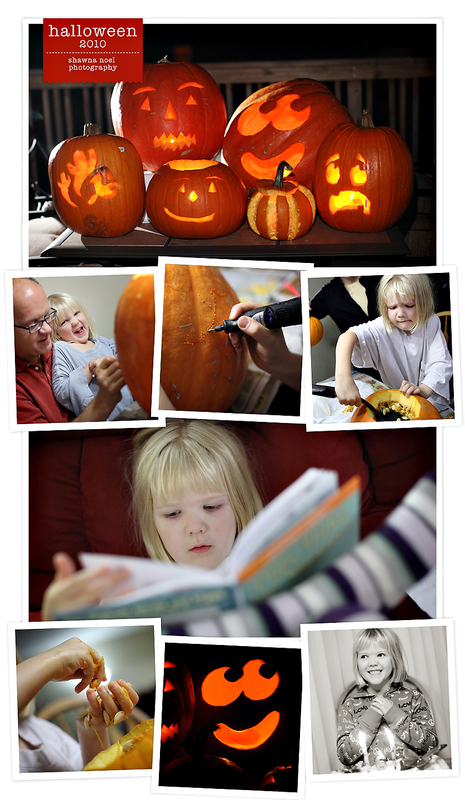 Here are a few photos from our annual Halloween pumpkin carving ... Miss Megan (my boyfriend's niece) turned 6 this October and was all excited about the pumpkin goo! She cleaned out all of the pumpkins and even helped Papa carve one. Hello again, blog friends! It's been, like, forever! I missed you and your cute faces. To answer a popular question from our fabulous clients and blog readers :: Yes, I am still alive! In the last two months we've been unbelievable busy. The fall busy season always sneaks up on us and this year is no different. We've been working on lots of weddings, senior sessions, family photos and commercial shoots! Here's a quick photo from Ky + Zach's engagement session. Many more photos and blog posts to come in the next few days!